It looks like I may have been a little hasty earlier this week when I reported that the Yotaphone was delayed indefinitely; my source may have been wrong. There's a conflicting report today that says that this dual-screen smartphone will ship next month. According to TechCrunch, Russian gadget maker Yota Devices promises that this smartphone is going to ship, worldwide, in December, but they were unable to offer new details on price or specs. I would suggest that you take this with a grain of salt. The Yotaphone has already missed a few release dates (not unusual for new hardware). The Yotaphone was developed by Russian gadget maker Yota Devices, and the reason it is getting all this attention is that it has an LCD screen on the back and an E-ink screen on the front. It was originally unveiled last year and was supposed to ship in the Summer, in the Fall, and in November. The latest projected ship date from Yota Devices had suggested a price tag of 500 euros and a November ship date, but now it seems that the schedule has slipped once again. 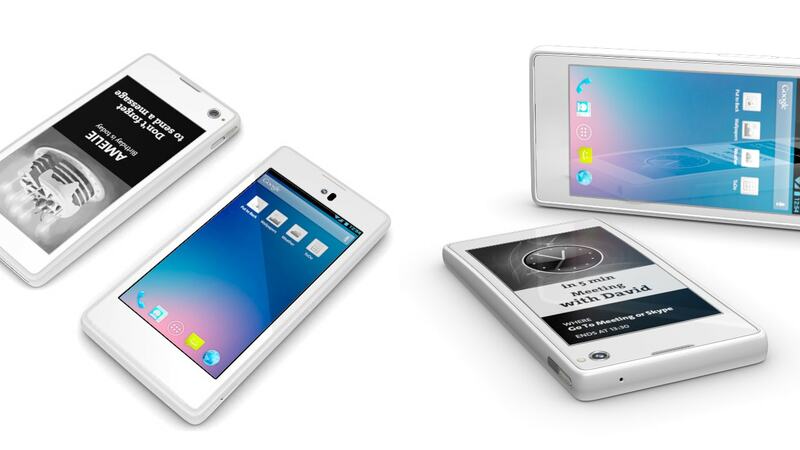 Yota Devices is now saying that the Yotaphone will ship next month. I think I am going to stick with my report from earlier this week that the Yotaphone is indefinitely delayed, and not put too much faith into the latest official release date. That earlier report came from Yota's retail partner in Germany, and I think that source would be under less pressure to be optimistic about the ship date. That would free up the source to be more honest, IMO. I have a feeling that the Yotaphone will be delayed again. Would anyone care to take that bet?